The law relating to personal injury claims was changed to reflect government concerns over a perceived ‘compensation culture.’ The Legal Aid, Sentencing and Punishment of Offenders Act (LASPO) brought significant changes to the way in which personal injury claims are funded, and how legal costs are recovered. So what are these changes, and how might they affect victims of personal injury who are thinking of making a claim for compensation? Conditional Fee Arrangements are generally known as ‘no win, no fee’ claims for compensation, whereby the defendant pays all legal costs if they lose the case. In addition to the solicitor’s base charges, these costs often included payment of an insurance premium and a ‘success’ fee. A 25% cap has been placed on the success fee chargeable by a solicitor. This cap excludes damages for future care and loss, which are provided full protection within the new regulations. Success fees are now recoverable from compensation awarded to the claimant, although the defendant remains liable for other base legal costs. Damages Based Agreements are a means of funding legal cases. Historically, DBAs were not used for personal injury cases, but since the new legislation came into force in April, this form of Agreement is now allowable. As with Conditional Fee Arrangements, solicitors’ success fees are capped at 25% excluding amounts for future care and loss. A winning claimant is now responsible for paying any shortfall between the defendant’s costs and the pre-agreed DBA fee. Prior to the introduction of the new legislation, a claimant was able to take out an insurance policy to financially protect themselves should they lose the claim. The cost of this ‘After the Event’ insurance policy was reclaimable from the defendant if the case was successful, but the new regulations state that this is no longer possible. The exception to this rule relates to clinical negligence cases, for which expert reports are often needed to establish whether there is a case to answer. These reports can be costly, and taking out an ATE allows claimants to progress their case without incurring huge expense. Premiums for these insurance policies continue to be reclaimable from the defendant. 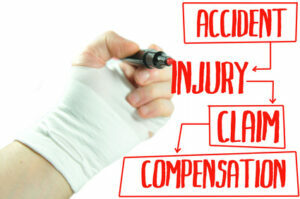 As laid down in LASPO, it is now an offence to make or receive referral fees for personal injury claims. Before, solicitors were allowed to pay fees to third parties such as claims management companies, in order to get the details of potential claimants. As a result, it was common practice for claims management companies to proactively advertise for victims of personal injury to contact them with regard to starting a compensation claim. This legislation applies to all participants in the personal injury legal process, including solicitors, claims management companies and insurers, and its purpose is to reduce the overall number of personal injury claims made. This regulation prevents a defendant from claiming costs against an unsuccessful claimant, and applies to personal injury cases including those involving clinical negligence. A defendant who loses their case remains liable for the costs of the claimant. Personal injury claims arising from road traffic accidents are commonly dealt with by solicitors like and some of these cases may be processed via the RTA Portal. This is a computerised system whereby a claimant’s solicitor sends claims for compensation to the defendant and their insurers for direct settlement. Before, solicitors were allowed to charge insurers a fixed fee of £1,200 for cases worth between £1,000 and £10,000. This fixed fee has now been reduced to £500 for each case. Additionally, claims of between £10,000 and £25,000 can now be dealt with via the RTA Portal, with fees for these cases being fixed at £800 per claim. General damages such as those awarded for pain and suffering, physical inconvenience, or mental distress, have been given a 10% uplift in cases where a claimant cannot recover their solicitor’s success fee from the other side. It is hoped by government that the number of personal injury compensation claims will decrease following the introduction of these measures, and that the stigma of a ‘compensation culture’ will eventually disappear. We at Independent Psychiatry assist solicitors with Personal Injury Claims. Our team of psychiatrists have amassed a wealth of experience in producing high quality medico-legal reports to assist individuals who have suffered traumatic experiences which have led to psychological and psychiatric distress, including medical negligence, childhood abuse and road traffic accidents amongst others.